Last week a mix of supply chain professionals were brought together in Boston to learn about digital trends affecting manufacturing and gain insights into why development, digitization, and innovation are important. The event was DMSCA’s annual conference with the theme of “Velocity – Gearing Up Suppliers for New Opportunities in Manufacturing” and we were happy to be a part of it. 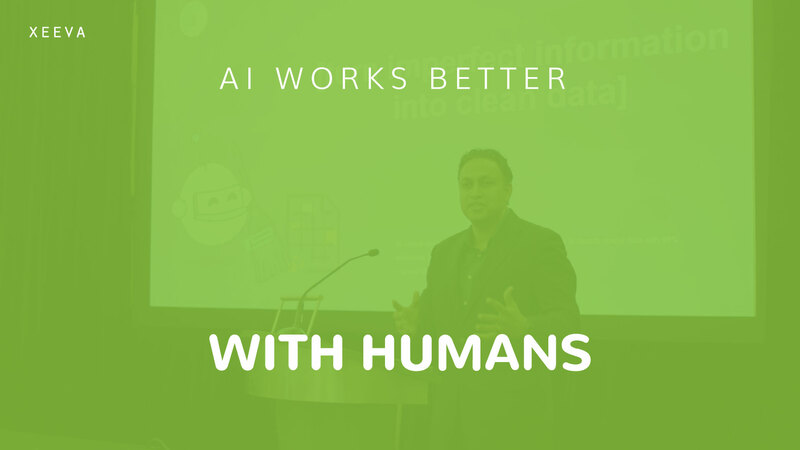 Our CEO, Dilip Dubey, joined the conference as a subject matter expert in artificial intelligence, machine learning, and other expanding technologies. 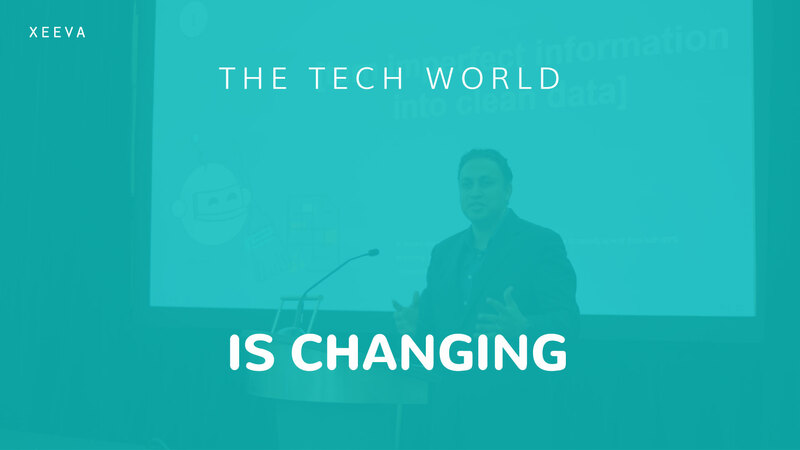 During Dilip’s presentation, he shared how organizations can (and should) prepare for changing tech. He covered how new technologies, like artificial intelligence, are changing the world. He also discussed what AI is and how it’s impacting manufacturing, supply chain, procurement, and other industries. Change can be scary. We’ve seen this time and time before as new technologies are introduced. People always start out fearing the unknown. But the truth of the matter is, new technologies are real and they create great opportunities for all of us. Artificial intelligence is definitely in this category, where people talk about how something new is coming. That’s why AI is a buzzword in the news, all over Twitter, and really, just about everywhere these days. However, AI is not necessarily clear to everyone who talks about it. What most people don’t know is that AI is not coming, it is already here. The maturity of the technology is at a level that you can actually apply it. The real value of AI comes from it being able to go much further than the buzzwords. In order to be successful, you need to be able to differentiate between true AI and the noise. Because of this, it’s important to truly understand what AI is, what it can do, how it can impact your organization, and how you can take advantage of it. So what does this mean exactly? It means that business models are changing. Businesses may not exist in the future the way they exist today. Equally exciting, though, is that a lot of us can do things for our businesses and our customers that was not possible a few years ago. Just like Moore’s law states, today we’re at the point where the curve is trending exponentially higher. When there are new technologies that you don’t understand, you are quick to brush them off, saying things like “they’re not on our radar in terms of competition,” “it’s not going to impact me,” and “we’ll see what happens.” This is exactly what occurred with Blockbuster. Back in 2008, Blockbuster’s CEO, Jim Keyes did not see Netflix or Redbox as competition. Unfortunately for them, as Netlflix’s tech strategies evolved, and Blockbuster’s didn’t, they weren’t able to keep up, resulting in the company declaring bankruptcy and eventually closing almost all of their stores. Takeaway: Don’t be so quick to write off new technologies as inferior. It’s important to keep up with the evolving tech landscape. The evolution is bound to happen, whether you like it or not. The challenge, however, is that none of us actually know how this evolution will happen, but what we do know is that the future is already here. So either accept it and keep up or get left behind. AI is starting to support humans. For example, if you go on a vacation or are out of the office for whatever reason, AI can take on some of your daily functions. As you direct the AI on what to do, it is able to learn from your previous behavior. Having the ability to complete certain tasks for you allows AI to make us more productive. Takeaway: What’s really valuable is that AI can allow us to create better results. AI can make us hyper-efficient but it also has 3 to 4 times better outcomes when working with human beings than if the human beings were working by themselves on just an old software application. Having unclean or imperfect data is a fundamental problem. Organizations often spend a lot of time trying to get to good, clean data. Large, complex environments make it even more challenging to achieve. The biggest obstacle to having imperfect data is the predictions you are making from your data are somewhat limited. 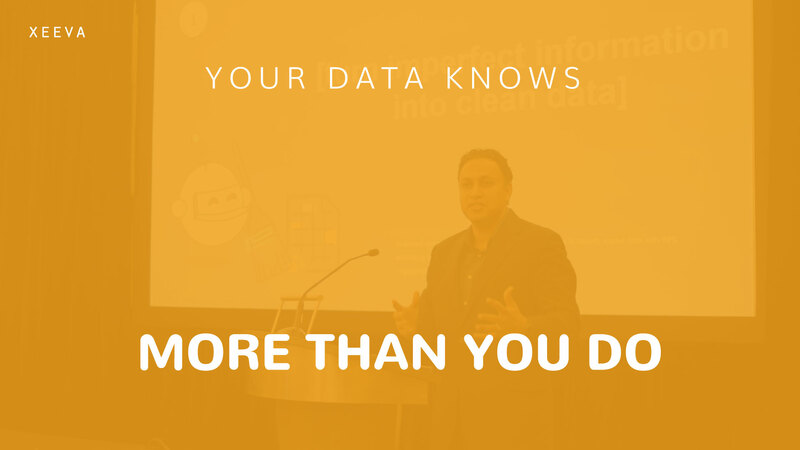 Takeaway: Your data knows more than you do. 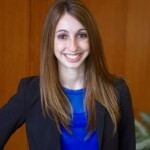 In the case mentioned above, you may not know exactly what was bought because someone else in your organization made the purchase but regardless, AI will still be able to make all the same inferences from the data. AI has the ability to be your advisor and support that can tell you, in real time, more than just trends occurring in your data. When it comes to new technologies, like artificial intelligence, don’t be afraid to accept them and reap the benefits they offer. Instead of reacting or hesitating, take advantage of the opportunities that AI creates. Utilize AI to make better decisions and create better outcomes. When it comes to AI in procurement, the future is already here. Don’t get left behind. To learn more about using AI to get the most of out of your data, check out our whitepaper It all starts with your procurement data and begin your journey to improved insights and better results.